About - Albert Harlow & Sons, Inc.
Why The Bootstrapping Entrepreneur Club? If you have ever "pulled a company up by its bootstraps", which is where the expression comes from, then join the club! I have done it time and time again, and even though at some point it can be very rewarding, it is also risky, stressful and a lot of work. This club is for others like me who have forged, pioneered, conceived and built systems, products, and services that have solved industrial, consumer, technical and business problems but need a little encouragement and help. Like me, I'm sure you never quit and always look forward, but man!, it can be tough! This club was also created so that I can share information with others which will help them in their business or other endeavors. Bootstrapping entrepreneurs achieve better results by keeping focused and succeed with less work and less stress when they get help from others. So this club is a way to share information that will help you succeed. Inside the member's area are tools and techniques I have come to know which have enabled me to do a lot in a lot less time. As a bootstrapping entrepreneur, you will go quickly from cleaning the floors to negotiating for a loan to fixing a critical issue. Simply Join the Club! It's FREE! Al is a serial entrepreneur who knows how to create and build shareholder value based on creative solutions to common problems. As a seasoned entrepreneur, Al has a track record of building companies from the ground up around the creation of now hundreds of innovative products for a variety of both consumer and industrial markets. He has also been the impetus of hundreds of jobs, and led, trained and nurtured many as Founder and President of nearly 10 start-ups over a span of 30 years. One of his first innovations was making a plastic rural mailbox for about the same cost as a metal one, which took this static industry by storm, paving the way for entry by giants Rubbermaid and Step-2. His innovations include the creation of painting machines that painted large Provost buses to Nokia cell phones. An innovator, business or project leader, IT systems expert, Internet marketing specialist, software or simply a WordPress developer, contact Al who can help make your visions a reality. 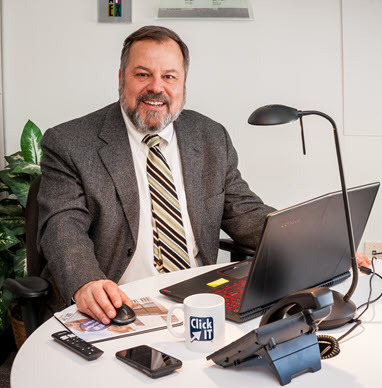 He currently works at the helm of Click IT (a "managed services provider", MSP, with a brick-and-mortar IT services store in Chagrin Falls, Ohio, working now on evolving into a franchise), while consulting with clients to help them with their own businesses, increasing sales, securing their IT infrastructure and helping to improve their operational efficiency using state-of-the-art technologies we offer. To see all the IT services offered by Click IT, go to https://clickitgroup.com. While he enjoys most the creative aspects of any project, some of my most rewarding experiences have come from helping others realize their true potential with the implementation of simple tools and techniques. Many times he already has the tools available and needs only to show how to leverage them for their benefit. Whether it is working with entire organizations or coaching individuals, he also spends a lot of his time improving productivity. In his current businesses, finding easier ways to doing just about anything technically complicated and then try to systematize the process is his goal. Many of Click IT products came about this way. (See https://clickitwebsitedesign.com/shop.) Albert embraces the “work smarter not harder” philosophy, but this entails an ability to always place things in perspective as a process and commitment to learning new things. Albert began Click IT in 2012 to allow him to share his vast knowledge and expertise with others while making a living at it. 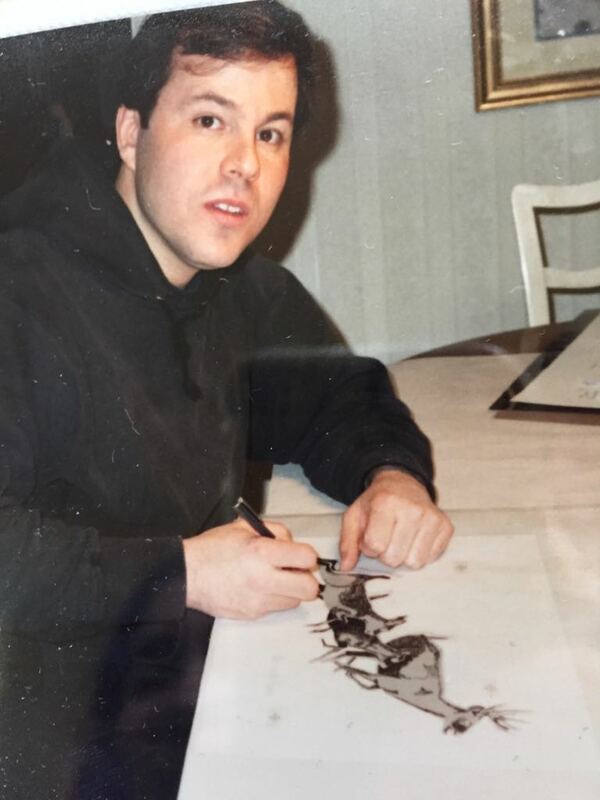 He developed as an entrepreneur starting with cutting lawns in the neighborhood and stringing tennis rackets as a kid, to what he does currently. Along the journey, he has also acquired many patents and trademarks and built numerous successful companies from the ground up, employing hundreds of people over a span of more than 30 years. These businesses were started simply by having an idea, belief or notion he could do something better and make money at it while doing something good and helpful to others. Having the idea is one thing. Having the guts, stamina, and vision to take action and see it through is another. Albert Harlow & Sons is a Wyoming Corporation for managing, holding and investing in our various projects. See Projects. "Al and his team have developed a clean and crisp website for Leadership Lake County. It features our alumni events and is easy for visitors to navigate! Service is outstanding! We look forward to a continued relationship to increase the dynamics and effectiveness of our website!" "Al and his team are a top notch firm and I recommend them highly. They kept us updated and all of our software and computers up to date and were always there quickly when we needed tech support. They put together a solution for our company when we began traveling extensively that allowed us to consolidate our accounting, project management, and communication centers so we no longer had fragmented information that had become a real issue. Whenever unforeseen issues popped up Al and his staff made sure they were resolved quickly and professionally. I had spent considerable money on previous IT companies and never had the service, knowledge, and attention to detail provided. They are also a real pleasure to deal with personally." "I turned to Al and the folks at Click IT. It’s right in the Village with easy parking and fabulous service. The guys took the time to diagnose my problem, advise me on the fix and completed the work in short order. I thought all was lost, but they retrieved the memory and got my laptop up and running smoothly again. Then, I learned a valuable lesson about backing-up data when I picked it up. They took some extra time to inform me on how to do the back-up, and how they can help me with the process both personally and for my businesses. The service and personal attention was incredible. I’ve been telling everybody I see; if you have a computer problem, go see the boys at Click IT! You’ll be glad you did." "Al and his team were not only quick and efficient, they were exceedingly patient and helped me with items such as staging and c-panel- all of which I had no support on with my prior provider. I would highly recommend them - especially for small businesses that are in the scale-up stage. Dependability and Integrity are often claimed, but rarely shown. Click IT has both." "Al was a great host. I took away a lot of new marketing skills that I didn’t have before. Al was personable, funny, knowledgeable, and innovative in his approach to teaching us. I plan on implementing these new marketing tools to help my company drum up some new clients and candidates through advertising, linking strategies, and utilizing our referral bonus program more effectively. Thanks for empowering us by sharing your expertise!" "Al Harlow was very good at listening to what I was looking for and helping me get started with a WordPress webpage. He had a lot of good hints and tricks to use that really helped me jump way ahead for setting up my webpage. He also helped me understand how to get my domain hosted and associate it with a WordPress webpage. He covered the “backstage” of the webpage which will help me manage and update my webpage whenever necessary. Very worthwhile." "Al created a professional intuitive website designed to capture potential clients faster and gave us a more modern and effective marketing strategy." I have been good at startups and running small companies. I know how to build and manage a team and what it takes to drive projects with the skills, know-how, and expertise to succeed. I also, from experience, know the pitfalls and how to avoid them. Forming new companies doing innovative things such as those I have built is hard. It is not for those who need a steady income and for the most part, it is not easy. But it can be very rewarding. When things don't quite work out as you planned, as they often do in early stage organizations, in my opinion from my own experience, the best entrepreneur is flexible, willing and able to refocus their efforts where success or an easier path is discovered. An enterprise pursuit typically does best with a written specification of your idea, with tasks outlined in a structured business plan, including a method for motivating all the players and attracting investors. I have typically hired and managed a systematically-driven, small team under my direction, to a successful and smooth exit. If you think speaking with me might benefit you or what you're doing, let's talk. Click here to schedule a conference. In 2012, I took all my experience and know-how in the tech industry and have poured it into Click IT. After we built a retail location in downtown Chagrin Falls, I formed a group to focus attention on each specialization in technology. Today I focus mostly on web site creation and web presence, such as in SEO/SEM/SMM for a handful of customers. 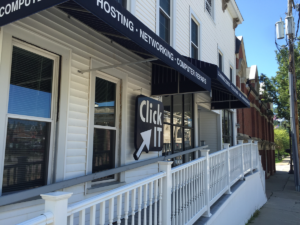 I work to bring new business to the store and am working towards franchising the concept behind Click IT, which is I-T services and support for small organizations. We have a good group of technicians and management at the store, and I feel confident about the future in providing these type of services, especially in light of the recent ransomware attacks. Along these lines, we have recently launched Click IT Secure, a complete proactive solution to thwart these type of attacks on the IT infrastructures of smaller networks. See The Click IT Group for more information. Before establishing CareerShift with a partner, I formed a web development and hosting support organization called iNamics which, at its peak, had 16 employees focused on developing and supporting, for CareerShift and other organizations, their DotNet web applications. Projects at iNamics ranged from building entire production and web-based sales systems to e-commerce solutions that earned and increased profits for business owners and shareholders, for which I also won several awards. Some of the companies which benefited from my work included LakeTran, Har Adhesives, Recon Logistics and Sedona Office. I worked in 2003 closely with Indeed (when Paul Foster was in a little law office in Stamford Connecticut) and ZoomInfo to build this online web application which has helped thousands of graduates find their first job out of school. It is now licensed by hundreds of college and university career centers nationwide. This experience taught me a lot. 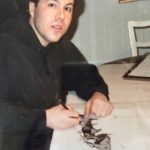 I began ARTomation with the idea of automating the painting of plastic parts in manufacturing, which was typically a manual process and very labor intensive as I discovered watching duck decoys being hand-painted at Flambeau. 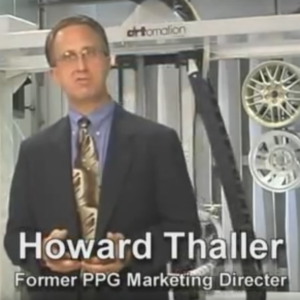 Eventually, the company built automated painting machines for manufacturers worldwide, working closely with PPG. We built the machinery and controls for the entire painting process that robotically painted everything from large Provost buses in Canada to small Samsung cell phones in Texas. We also built simple painting machines, like one I built for Delco Automotive in Rochester, NY (later ITT Automotive), for daubing paint onto the windshield wiper motor housings, where the tabs were bent and aesthetically looked bad unless painted. (For years we sold the sponges for those machines which essentially paid our phone bill every month.) Another painting machine I invented and developed, was the Panel Painter, where these industrial machines built here in the U.S. were shipped to China. - See Videos here. 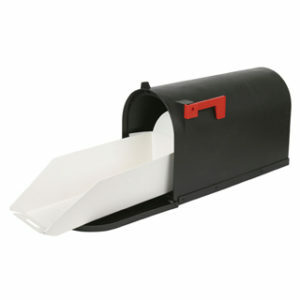 I am the inventor of the EZ Mailbox Tray and was also instrumental in developing a low-cost plastic rural mailbox which had revolutionalized the mailbox manufacturing industry. As a manufacturer, EZ Mail Corporation sold products to nation-wide retailers such as Home Depot, Lowes, Target, Kmart, Ames, Builders Square and was a dominant innovator until the company was sold to Flambeau in 1990, where I was brought on as this company's Products Manager overseeing 8 divisions for Flambeau. I worked at Flambeau in this position for two years before the entrepreneurial spirit took hold of me once more. PMSI - Professional Marketing Services Inc.
My first real company was Professional Marketing Services Incorporated, which I formed to sell premiums and advertising specialties. I pioneered the magazine subscription free gift offers, working with my first real client Penwell Publishing. PMSI is now "one of the country’s largest and fastest growing promotional merchandising facilities" currently owned and managed by Marty Baer. Send a message or schedule an appointment with me easily. I use Calendly to schedule meetings without the back-and-forth emails, Go-To-Meeting for online meetings and am on Skype regularly.